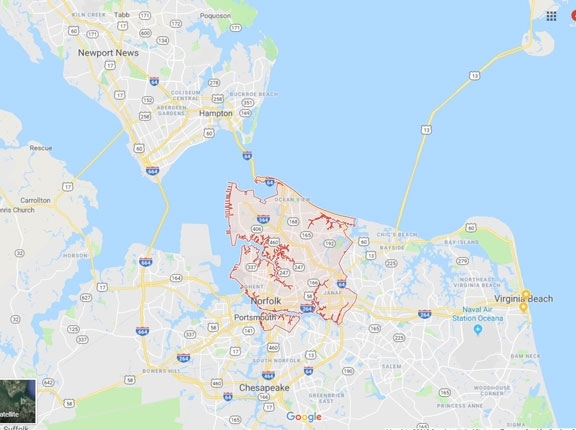 Norfolk Virginia Flat Fee MLS Listing. Serving alll of Norfolk VA Home Sellers looking for a Flat Fee Realtor Discount Brokerage. From Covering: Norfolk, Ghent, Old Dominion University, Camp Allen, MacArthur Center, West Freemason, Norfolk International, Hampton, Portsmouth, Virginia Beach, Chesapeake areas to name just a few. Norfolk is a waterfront city in Sourtheastern Virginia. It is home to the massive naval base on the Chesapeak Bay - Naval Station Norfolk. Check out Nauticus - a maritime museum. There is also Chrysler Meseum, the Virginia Zoo, Waterside which has been completely renovated with new food places.